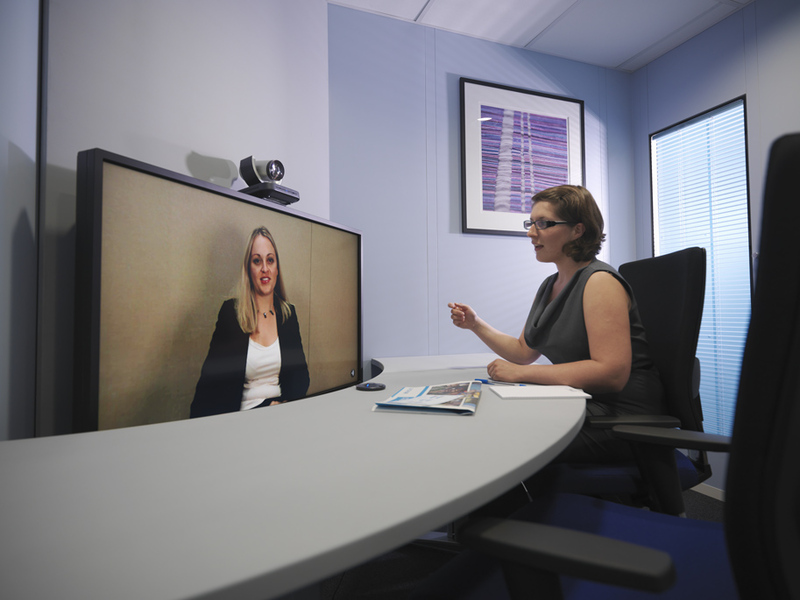 Quadra is a revolutionary new concept in communication facilities. 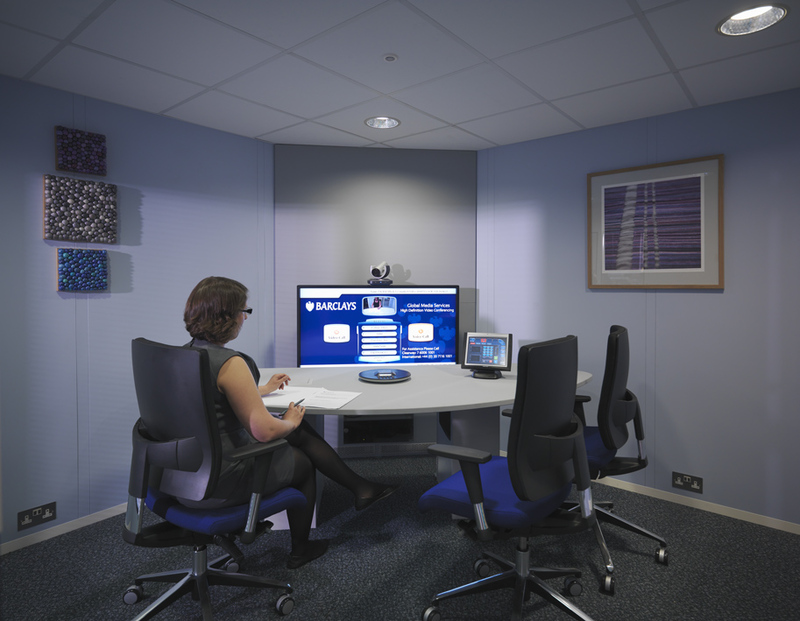 It provides instant, private space for video conferencing, quality meetings or secure monitoring activities - Without the need for structural work! Freestanding and equipped with your preferred system components, Quadra can be assembled and operational within 48 hours in an open plan area, atrium office or even a warehouse. 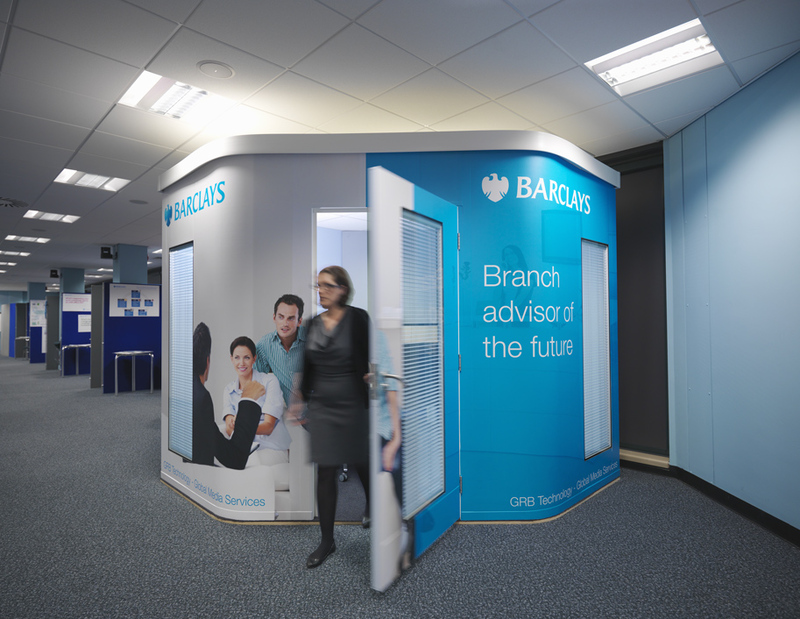 The unique design allows for multiple unit configurations and can even be finished in your corporate colours. Quadra is not reliant on the existing environment and can be supplied with integral floor and solid ceiling options. Partition and roof panels are delivered in made to measure modular units, eliminating intrusive noise and dust during installation and keeping office distribution to a minimum. Easily de-mountable, the unit can be moved and re-sited with minimum disruption. Generally, building consent is not required. Subsequent removal of the unit is not subject to building dilapidations. Internal surfaces provide optimal levels of acoustic absorption making for clear vocal definition. Privacy can be further enhanced by internally operable window blinds. The acoustic ceiling is designed to absorb most of the sound waves that come into contact with it. Internal lighting has been carefully designed to provide a low-glare, uniform level of light in the seating areas. This is highly diffused to alleviate the visual effects of vertical shadowing. Optimal internal acoustics, integral furniture, effective lighting, air flow management and spatial design considerations all combine to create a comfortable, aesthetically pleasing environment. The system has been specifically designed to be highly durable and is easily cleaned, keeping maintenance to a minimum. The tough powder coated finish is an ideal surface to stand up to the daily rigours of daily commercial use.